Every year brings new colors. Pantone named the spring-like Greenery 2017’s Color of the Year. Sherwin Williams opted for Poised Taupe, while rival paint company Benjamin Moore went with Shadow. So that’s what we’ll be painting our walls. But how about what we’ll be naming our children? With Scarlett, Hazel, Violet, Jade, Forrest and Rose all popular, it’s easy to imagine parents looking for more colorful inspiration. Last week, Molly Sims welcomed son Grey Douglas, a little brother for Brooks and Scarlett. It’s nicely ahead of the trends. Grayson ranks in the US Top 50; Greyson isn’t far behind. Grey makes for a minimalist twist on that popular sound. Grey and Gray feel soft and subtle, much less dramatic than Indigo or Crimson. But there’s room for both kinds of color names as we move into 2017. 2. Azure: Another name inspired by the hue of blue, Azure comes from French, ultimately derived from the gemstone name lapis lazuli. You might think of actress Azure Parsons, most recently seen on The Astronaut Wives Club. Azure is even rarer than Azul. 3. Emerald: Em names have dominated the US Top 10 in recent decades, but Emerald remains relatively uncommon — it’s never cracked the Top 1000. The gemstone name fits right in with other choices inspired by the color green, like Jade and Olive. Call your Emerald Emme for short, and she’ll blend into the Emilys and Emersons but still have a stand out formal name. 4. Lavender: The Harry Potter series launched Luna, and boosted other names too, so why not Lavender? Fellow Gryffindor Lavender Brown appears throughout the series, and in several movies too. The name has increased in use ever since the first book was published in 1997, and it’s an alternative to the powerfully popular Violet. 5. Lilac: Lilac feels like a successor to Violet or Lily, but it’s among the rarest of color names for girls. 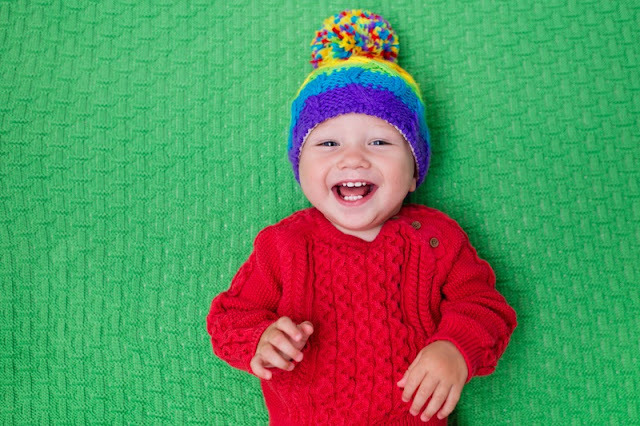 Most years, fewer than a dozen children are given the name. In the language of flowers, purple lilacs symbolize love. They’re also associated with spring, when most varieties flourish. True Blood’s Stephen Moyer named his older daughter Lilac. 6. Moss: American playwright Moss Hart had a string of hits on Broadway and later in Hollywood, beginning in the 1930s. As a surname, it’s related to the Biblical Moses. But it’s also a shade of green like Forrest, and brings to mind boys’ names like Ross. A few boys are given this name every year, but it remains rare. 7. Navy: Maybe it’s the appeal of Ava and Ivy that sparked parents’ interest in blue hue Navy for our daughters. It was given to more than 100 girls in 2015, a new high. Respellings like Nayvie and Nayvee seem inevitable, but Navy has a crisp, tailored feel. It’s also rising in use for boys. 8. Onyx: Singer Alanis Morrisette recently named a daughter Onyx, but this name has more in common with modern x-enders for boys, like Jax and Fox. Like Navy, it recently reached a new high, with more than 100 boys given the name in 2015. Besides being a shade of black, it’s also an O name, a letter that feels especially stylish in our age of Oliver and Owen. 9. Slate: Slate gray has been used as a color name in English since the 1700s. As a given name, it’s quite new, rarely heard before the 1990s — though surname Slater has more history. Slate feels like a fresh alternative to Nate, every bit as wearable as strong, single-syllable boy names like Jack, Max and Finn.